Take control and work smarter with real-time communication between your office, field staff and customers. 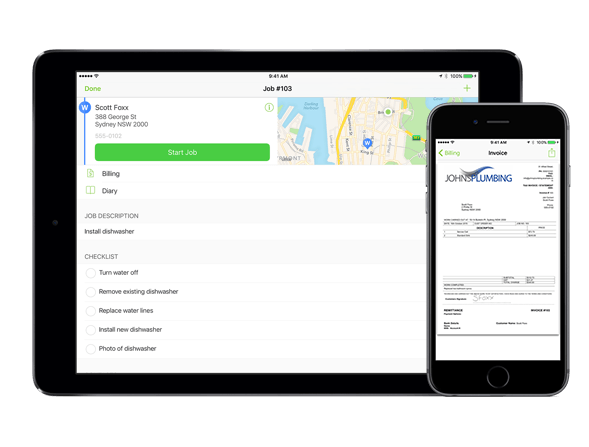 Get to your jobs on time at the correct location with job details available in the palm of your hand. Complete invoicing and reports on location without the need to complete the paper work when you get back to the office. See what jobs are on the board and what technician is assigned the job. Follow through to completion to see what status any job is currently at. 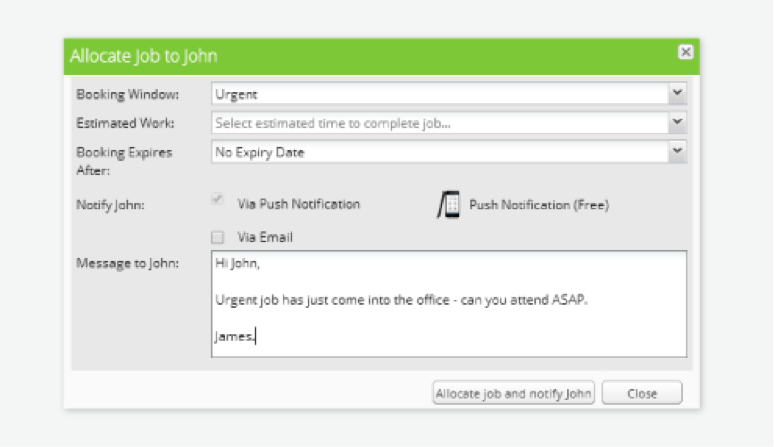 Easily allocate jobs to staff members using drag-n-drop. Staff will be notified instantly! 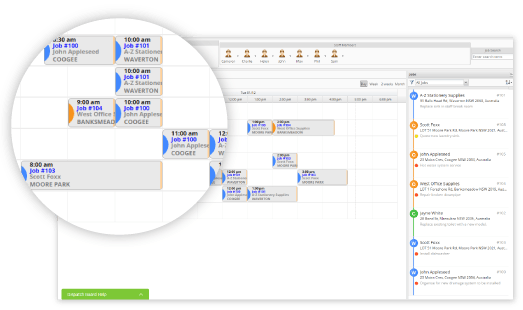 With build-in scheduling reminders, email and SMS capabilities, you can dispatch information to your staff faster than ever before, keeping them up to date with their schedule. 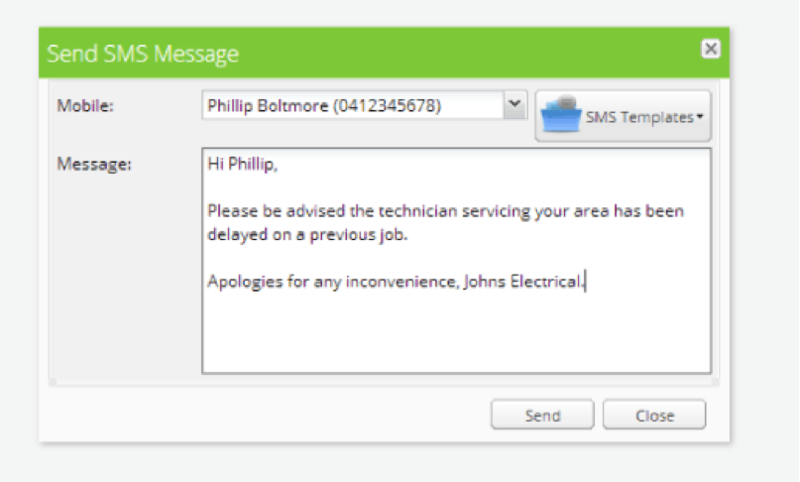 Remind clients of appointments, notify of parts arrival or request a call back to your office. Contact us today to discuss your unique business needs to see how ServiceM8 can streamline your business and improve efficiency. Removing duplication of paper work and adding professionalism to every job you attend.